Beyoncé was featured on the long-running blog project Humans of New York, where she discussed the blessing (everyone remembers your name!) and curse (no one will stop singing "Single Ladies"!) of having a famous moniker. And just like that, the rest of the internet joined in to share their woes. Some of these names almost seem too good to be true. Hopefully now she knows that she isn't alone! 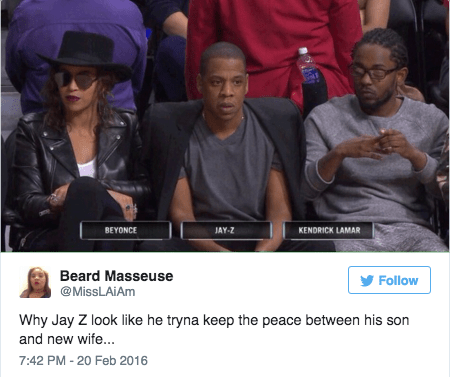 Beyoncé, Jay-Z and Kendrick Lamar were spotted together at an LA Clippers Basketball game watching intently. 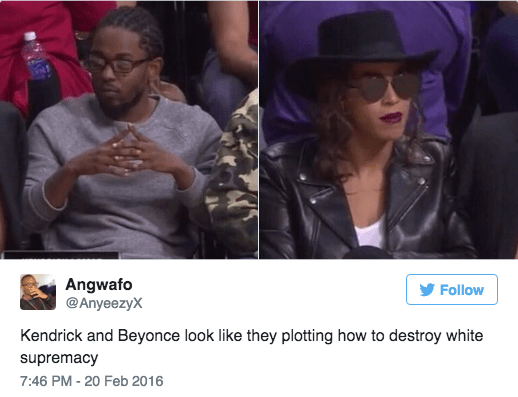 Their expressions unsurprisingly led to some jokes at their expense on the internet. 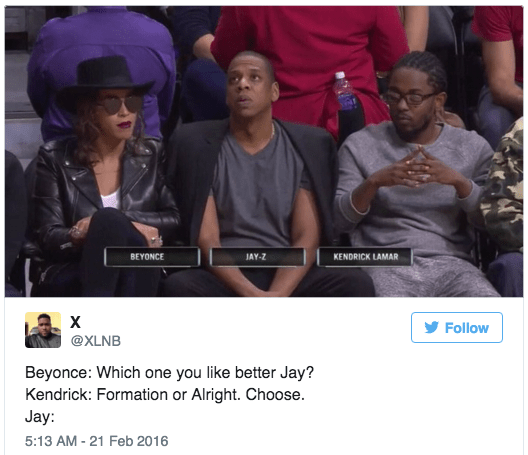 Jay-Z just wants to watch the game guys, can't you put your differences aside? Eventually, though, they found some common ground. Here's the album in question. Clearly, not everyone was stoked for this one.